Levi's is known for its collaboration with modern art. Modern art has become part of the brands "creative spirit and rock n' roll attitude". 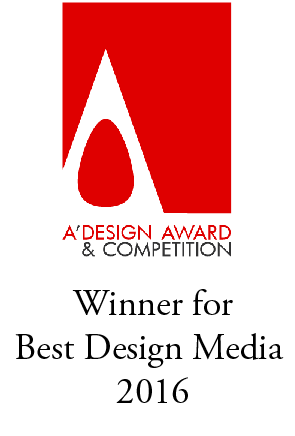 Stefan Sagmeister, one of my personal favorite designers, recently did some work for Levi's. 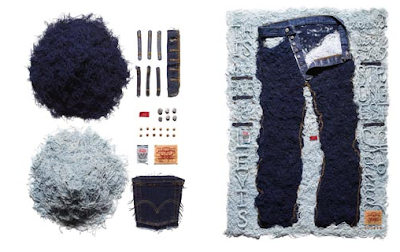 For his piece, he unmade a pair of jeans stripping them down to their core to expose all the constituent parts. The work became a window installation at the American Rag's L.A boutique. Posters of the display were also reproduced and distributed across all American Rag stores in L.A and San Francisco to commemorate the occasion. "The first in a series of works created for Levi's, Sagmeister's depiction of the building blocks of jeans is an example of the kind of stunningly elegant and subtly clever touches that makes his approach to graphic design successful with clients like Lou Reed and the Rolling Stones.